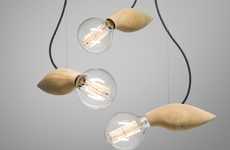 Fixtures that cast beams of light in distinctively different directions tend to accomplish this with separate lightbulbs that branch out from a common stem. 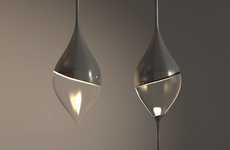 Rather unusually, the Bell Family Lamps are composed of large glass globes that feature numerous luminous sources within. 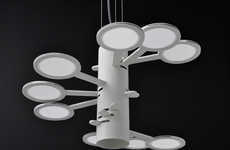 Designed by Thierry Gaugain with Blackbody OLED Lighting, the four unique pieces become eccentric focal points in any room. 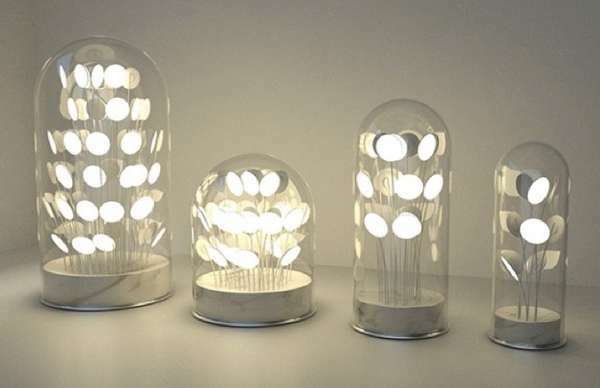 Beneath the transparent caps, fine metal spikes rise up from the bases, terminating at various lengths and projecting small circular lights outwards at every angle. 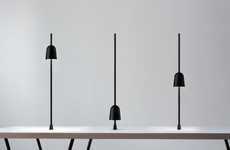 At least nine or so luminescent dots are clustered within each of the Bell Family Lamps. 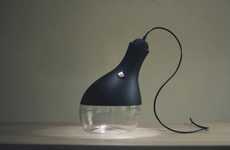 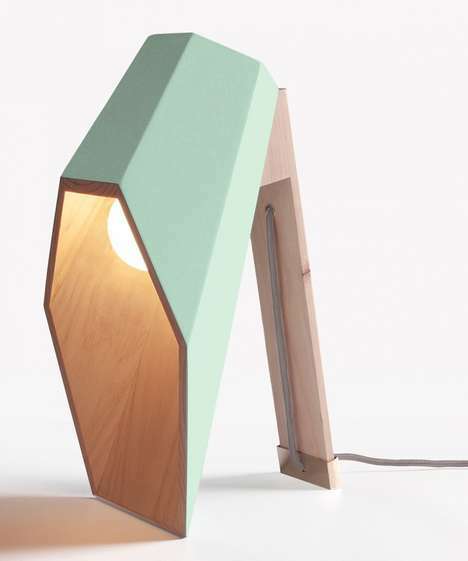 With their slightly dissimilar bell-shaped forms, the products make singular table lamps. 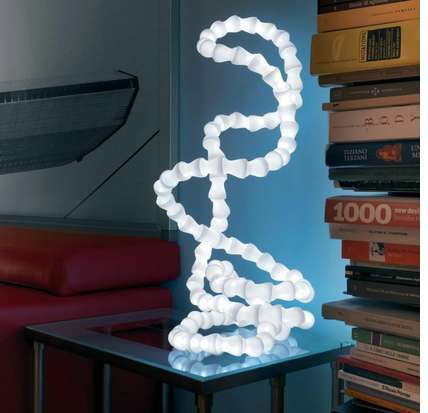 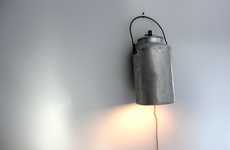 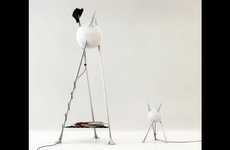 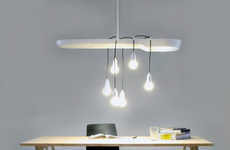 They provide brilliant illumination and double as intriguing sculptural objects.